Kelsey Kleimola, Ms. 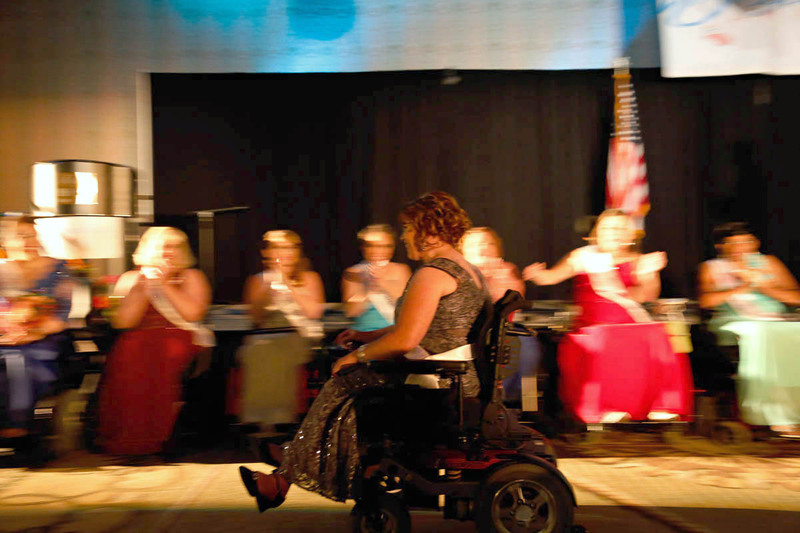 Wheelchair Michigan 2014, whizzes past the line of contestants in her motorized wheelchair. Long Beach, CA. August 9, 2014.